Top Restaurants in Omaha you Must Try! If you’re looking for something great to fill your belly, then the city of Omaha, Nebraska has a lot to offer. There are many selections of restaurants in this city, so surely you will love one. Read about Omaha’s finest ranging from fine dining to cheap eats, Omaha has it all! The Drover is a local steakhouse in Omaha that serves lunch and dinner. This restaurant is best known for their delicious whiskey-marinated steaks that are also cooked to the customer’s standards. It is a place with a great atmosphere and services. Come in and enjoy one of Omaha’s best fine dining restaurants! If you’re craving some affordable authentic Italian food, Orsi’s Italian Bakery & Pizza is the place for you! This restaurant has been in business for nearly 100 years, so they run on traditions every day. Dishes are made daily so they are fresh. The people of Omaha constantly rave about the pizza and breadsticks! The perfect place to bring your family for lunch or dinner. Click here to view the menu for many more options! Blue Sushi Sake Grill is home to unique sushi dishes and an energetic atmosphere. With three Omaha locations, this restaurant makes sushi so you can experience it in a new and fun way. The menu is filled with a diverse range of sushi’s as well as vegan rolls. People enjoy the specials and happy hour. 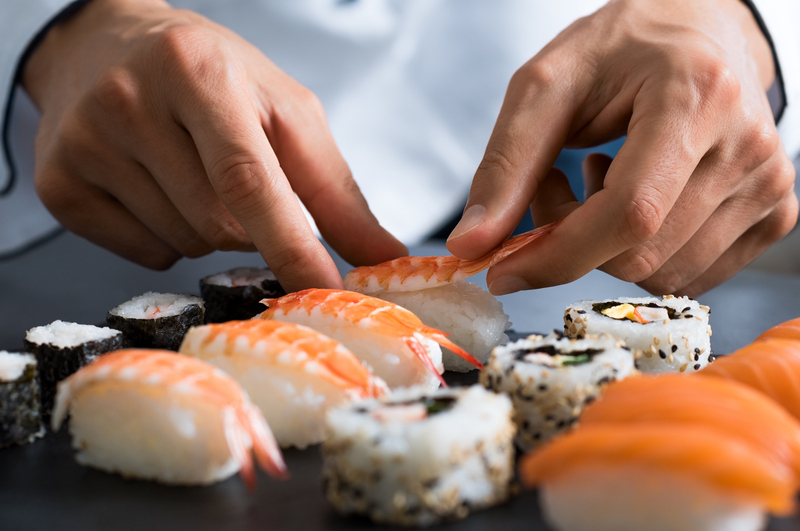 If you are looking to enjoy some creative Asian cuisine, Blue Sushi Sake Grill needs to be your next destination! Click here for directions. There is no doubt that Block 16 is a must try when crowds line up to buy their sandwiches. Block 16 has also been featured in USA Today, Food Network, and Yahoo. Their menu offers various American foods as well as vegan options. Check out Block 16 to enjoy some outstanding street food. Need a ride to these amazing restaurants? Head over to O’Daniel Honda for all of your vehicle needs! We will gladly help you find the perfect Honda.